INRETE was the first company to bring Internet inside Italian offices, so it knows very well that managing your e-mail system doesn't mean just installing an e-mail server. 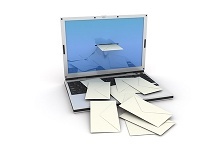 E-mail nowadays is a basic tool of communication and it requires constant updating, reliability and flexibility. manage the storage of all the received and sent messages in a secure and simple way. For more info about INRETE E-mail solutions designed for the Italian market visit the specific Italian Products Section.